All interiors are spacious, have beautifully appointed kitchens and include premium features. This private community overlooks sparkling lakes, lush landscaping or private preserves. Base prices in Bonita Isles range from the $250s to $340s and residences offer excellent value for the location and interior details. Villas do not offer private swimming pools, but do have screened lanais ranging in size from 112 to 187 square feet. Single-family homes at Bonita Isles offer you the option of building a private swimming pool. Bonita Isles offers you the Minto warranty protection, including a 10-year structural and 3-year appliance warranty program. In addition, you receive a long list of premium features which are added for increased safety and security, energy efficiency, higher quality construction and for improved comfort, livability and design with exceptional interior finishes in the kitchen, master bathroom, secondary bathrooms, laundry room and exterior. 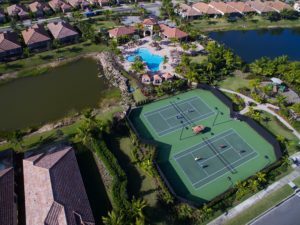 Amenities in Bonita Isles include an amenity center with resort-style clubhouse, fitness center, two (2) tennis courts, pickleball, resort-style swimming pool, children’s play area, shaded gazebos and an oudoor bar area with grill. Bonita Isles offers you an inspiring lifestyle and incomparable amenities. 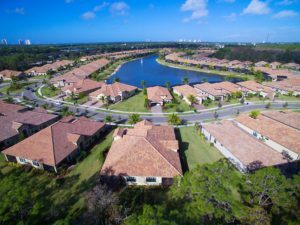 The community is also close to Coconut Point Mall, restaurants, Florida Gulf Coast University, Miromar Outlets, great schools, convenient transportation and employment. Bonita Isles allows you to lease out your villa or single-family homes for an annual rental or seasonally up to three times per year with a minimum 30-day lease. Homeowner Association assessments are very reasonable at $317 per month for paired villa residents and $291 per month for single-family homes residents. HOA fees cover lawn care, irrigation, fertilization, pest control of lawn areas, use and operation of resort recreation facility (amenity center, fitness center, tennis and pool), paired villa assessments include reserves for roof and exterior painting. A one-time $350 capital contribution to Bonita Isles HOA is paid at closing. Bonita Isles has eliminated CDD fees (Community Development District) on your tax bill each year, as Minto has used their own funding sources in order to develop the infrastructure for this wonderful community. This fee otherwise could add a significant amount to your tax bill for up to thirty years. The main entrance to Bonita Isles is on Paradise Falls Drive and the resident entrance is further south on Somerset Falls Drive. 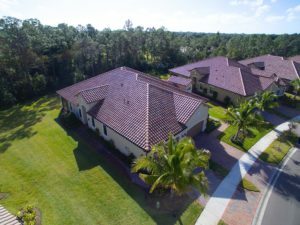 FURNISHED – Model Perfect, Barcelona floorplan on OVERSIZED LOT with 2 bed, plus den, 2 baths, 2 car garage Villa in Bonita Isles. Built in 2015, and barely lived in this home shows like new. Home features a spacious “Great Room” floor plan, with tray ceilings, large open kitchen, granite countertops, stainless steel appliances, and a wall of cabinets offering plenty of storage. 18 inch Tile on diagonal throughout the living areas and carpet in the bedrooms, wood vanities with granite countertops in the bathrooms. All windows and sliders have hurricane impact glass. The vast lanai overlooks lush preserve views with Southeastern Rear Exposure. Bonita Isles is a 24 hour gated community with low HOA fees. 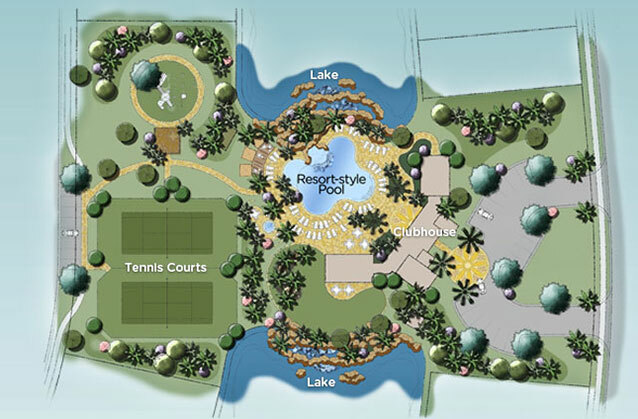 The “Island Club” resort-style amenity center offers a clubhouse, fitness center, outdoor bar area with grill, playground, tennis and pickle ball. Great location minutes to the beach, Coconut Point, shopping and dining.